Many travelers to Italy put a significant amount of time and thought towards seeking out this country’s “authentic” side. As it happens, Italy doesn’t do very much to hide its authenticity. Sure, the most famous sights in this country may be crowded with visitors, but this does nothing to detract from the power of these monuments’ and artworks’ illustrious history and staggering beauty. Sure, you can get a forgettable meal in some of the most trafficked piazzas in Rome, Florence, or Venice, but by detouring just a block or two down a side street you will most likely happen upon a neighborhood trattoria dishing up one of the best plates of pasta you’ve ever had. If, however, by “authenticity” travelers seek a chance to rub elbows with a festive crowd of Italians uniting around their greatest passions, there are two ways to go about this: head to the nearest stadium to see a rollicking game of calcio or to the nearest food festival (sometimes called a sagra) to sample some traditional fare. 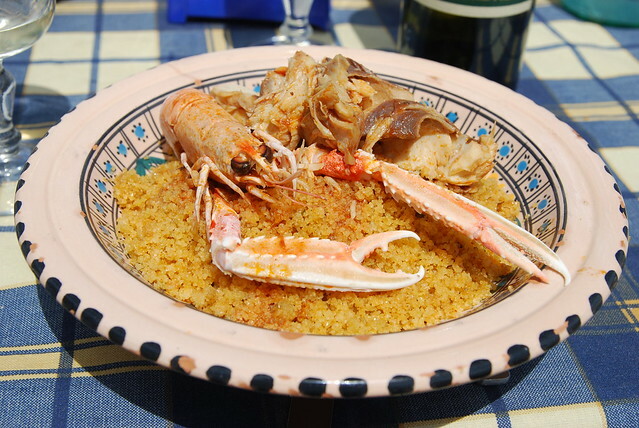 One of the most well-known food festivals in Italy (and certainly in Sicily) is the annual Cous Cous Fest, held every year in late September in the pretty beach town of San Vito Lo Capo on Sicily’s western shore. 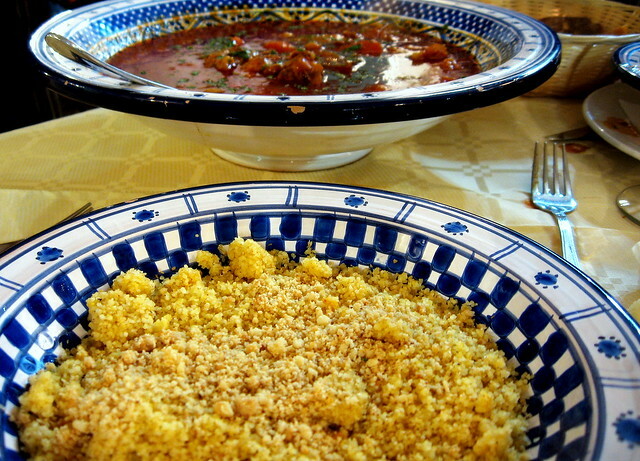 If the thought of cous cous as a traditional dish in this country dominated by pasta and rice gives you pause, consider Sicily’s unique history and geography. Closer to North Africa than Rome (with a strong pair of binoculars, you can see Tunis from the western shore), the island was under Arab rule for centuries during the Middle Ages, and its cuisine and culture still reflect this influence. Cous cous—a granular wheat product (semolina) which is steamed until fluffy and served with stewed meat, vegetables, and seasonings--is at once international and local, both a staple in North African countries and one of western Sicily’s most traditional dishes. Like so many foreign influences, cous cous was both adopted and adapted by the Sicilians. Around Trapani, it is served with fish or seafood rather than lamb or goat (common in North African and Middle Eastern versions), most commonly in a savory broth made from pesce povere (or “poor fish”, considered suitable only for simmering and straining). 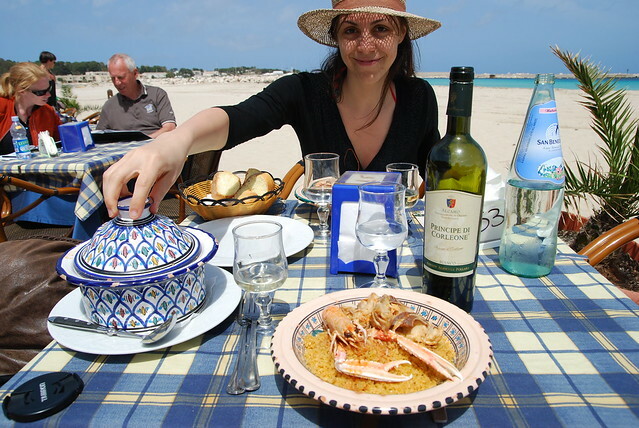 At San Vito Lo Capo, visitors can sample both the international and the Sicilian versions. 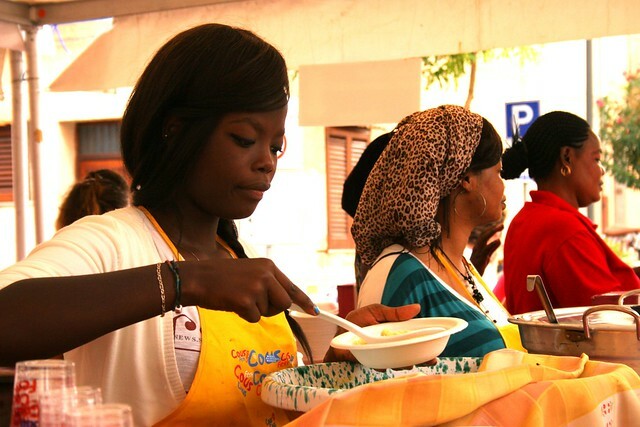 Indeed, as a departure from the usual sagra template, the Cous Cous Fest celebrates the history and culture of cous cous worldwide—as the “International Festival of Cultural Integration”—rather than merely promoting a regional “Italian” food. One of the most unique ways the festival does this is through the annual “cook off”, during which chefs from around ten different countries—often including, among others, Algeria, Brazil, Ethiopia, France, Israel, Italy, Morocco, Senegal, Tunisia, Turkey, and the USA—showcase their skill with what they may call "maftoul”, “kseksou”, “cuscus”, “cuscussu”, “cascasa”, “sekso”, “kskso”, “kuskus”, or “kuski” and compete for that year’s Il Palmares. The prize is awarded by a panel made up of journalists, food professionals, and 100 jurors from the public, selected on a first-come-first-judge basis. Show up early enough, and you could be choosing the next international cous cous victor! 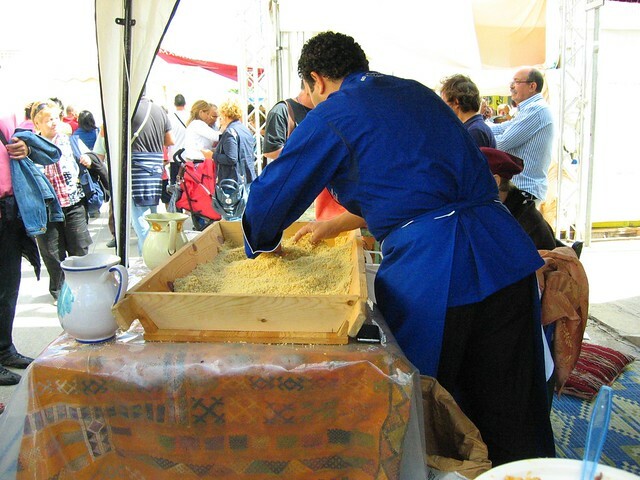 Though the choice of cous cous and the theme of cultural integration and international competition may be unique among food festivals in Italy, the Cous Cous Fest is, by any measure, the most authentic of sagre. Raucous and crowded, but cheerful and welcoming, the festival includes food stands from around the world in the Tasting Village dishing out tens of versions of cous cous and fabulous Sicilian wines and pastries. Nearby, under the Berber-style Al Waha tent on the pristine sand of San Vito lo Capo’s beach, you can stop in to view public demonstrations, workshops, and—of course—the cous cous competition. Each evening there are free outdoor concerts (this year featuring Francesco de Gregori and Max Gazzè, two of Italy’s most famous singer-songwriters) and street artists and performers galore. And, most importantly, a festive crowd of Italians united around their passion for food and generally being, well, authentic.